Throughout its rich, diverse history, the Boy Scouts of America has affected the lives of young men and women, helping to create some of the nation's most celebrated leaders and citizens. We continually search for potential career employees who would like to work in a profession that has a meaningful, rewarding purpose. Bring to the BSA your varied life experiences, education, and perspective, and in return you will have an opportunity to combine those skills and experiences in a career that values and respects others. Scouting is a profession with a purpose! The Sam Houston Area Council is looking for staff members to assist the council in a new initiative for new unit development. The part-time onboarding specialists will guide new Scouting units (Cub Scouting, Boy Scouting, and Venturing) through the steps of new unit organization. Through this process, they will assist new chartering organizations in the identification of adult volunteers for new Scouting, assist the new adult volunteers with program planning, budgeting and scheduling, guide the new adult volunteers through district and BSA resources to be trained, and guide the new adult leaders through the start-up of the new unit's programming to ensure the program is launched and the new unit is chartered. Candidates must have knowledge of the Scouting programs with an understanding of unit organization. Interested applicants should send their resumé to our Onboarding Director, Dwayne Jones, at dwayne.jones@scouting.org. The council is looking for an energetic and detail-oriented individual who enjoys making a difference, being part of a team, and takes pride in their work. Position Description: Assist district executives/district directors with Sign-Up Night flier delivery to schools, conduct in-person promotion (boy talks) of Sign-Up Night with students, attend back to school meet the teacher events promoting Sign-Up Nights, lead or assist with Sign-Up Night recruitment events, and responsible for submitting all applications and fees collected at Sign-Up Night events. Other duties as assigned. Requirements: Bilingual (Spanish). Position Status: Seasonal employee (August 1st - October 31st), non-exempt, no medical insurance benefits. Hours: Up to 37.5 hours weekly Salary: $15 hourly. Interested applicants should contact Beth.Bornstein@scouting.org. The Sam Houston Area Council is looking for sales professionals for their new sales and onboarding team. These sales professionals will aggressively and proactively sell Scouting to potential chartering organizations with the goal of launching new volunteer-lead Scouting units. The sales associate will collaborate with the district executives and other Scouting leaders to identify potential chartering organizations. Prequalify potential chartering organizations before entering the sales process. Make outside sales calls on prospective chartering organizations and secure commitments from them (churches, civic organizations, etc.) to organize new Scouting units. Candidates must have a bachelor degree, preferably in business or marketing; sales experience with the propensity to thrive in a high intensity, performance-driven sales environment; management experience; ability to develop and carry out creative sales plans to achieve desired results; sensitivity to the diversity of the community; and ability to highly leverage volunteer resources. Interested applicants should send their resumé to Christopher.Hogue@scouting.org. The role of the entry level district executive is to recruit, inspire, and train adult volunteers, in addition to working with community leaders and rallying support for Scouting's activities. Candidates must have a bachelor's degree from an accredited college or university and possess skills in public relations, marketing, sales and management. Interested applicants should send resumé and cover letter to Tami.Kinn@scouting.org. Part-time sales associate jobs are frequently available at one of our five Scout Shops located in Houston, Champions Forest, Clear Lake, Stafford, and Conroe. 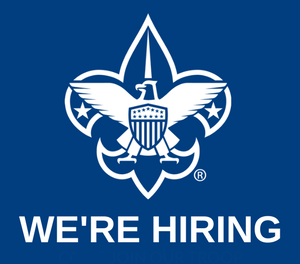 Interested applicants should send resumé and cover letter to marcus.jackson@scouting.org.